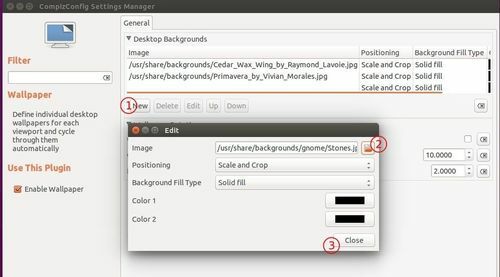 For those who are using multiple workspaces in Ubuntu Unity and want to set different background wallpapers for each one, here’s how to do it in Ubuntu 15.04 Vivid. NOTE that set different wallpapers will hide the desktop shortcut icons. Go to System Settings -> Appearances -> Behavior tab -> check the box says Enable Workspaces. 2. To set wallpapers, we need the graphical configuration tool for Compiz and Wallpaper plugin. 3. Start CCSM from the left launcher or the Unity Dash. 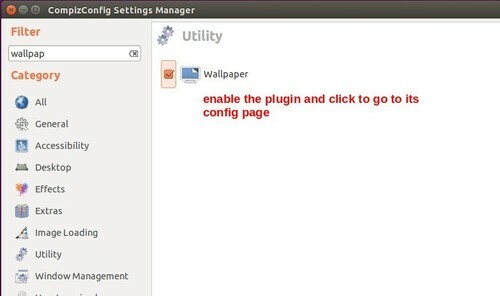 When it opens, search for and enable Wallpaper plugin by checking the box before it. 4. In previous picture window, click the icon to go into its configuration page. While adding wallpapers, click enable JPEG plugin when you’re asked to. When done, restart your computer and enjoy! 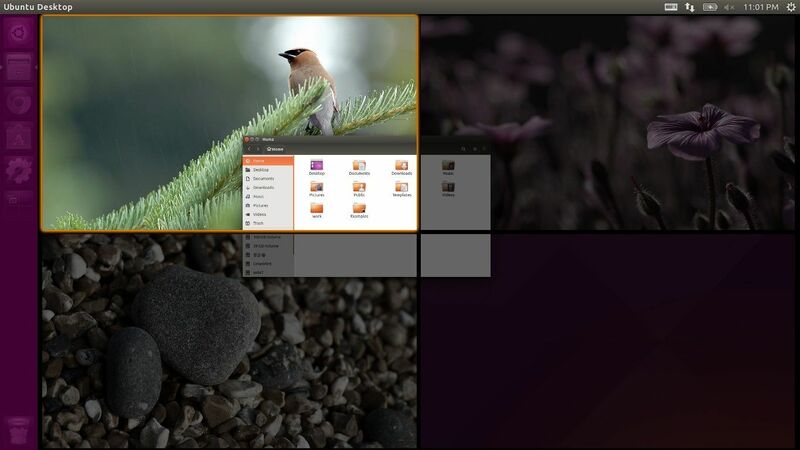 No user responded in " Ubuntu 15.04: different wallpapers on each workspace "